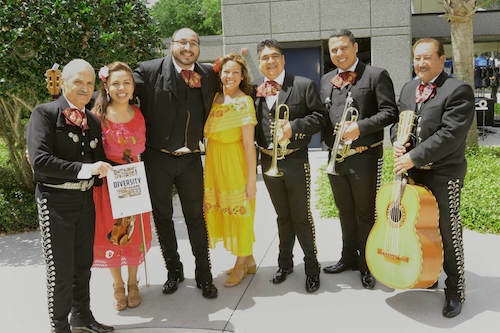 Home/Events/Who’s participating in the July 12 Industry Capability Day? Join us for the July 12 Summer Industry Capability Day on July 12, from 9 a.m. to 2 p.m. Vendors supporting various areas of Modeling, Simulation and Training will be onsite to share their latest technologies, products and services. ICD takes place in UCF Partnership 3, 3039 Technology Parkway, in Room 321 A/B. Is your company interested in participating in a future ICD? Information and paperwork can be found here. Aptima will be demonstrating SPOTLITE. Spotlight allows observers to subjectively rate and understand the performance of students and instructors in realtime. SPOTLITE is a mobile application that offers the user flexibility to move within the physical training environment. Aptima’s mission is to engineer tools and systems that increase human capabilities. Our scientists study how humans think and learn within today’s technology-rich networked environments, and we use that knowledge to solve problems and provide solutions in defense, homeland security, healthcare, aviation and cyber security. Aptima’s Human-Centered Innovations are directed at business management solutions, engineering, and R&D solutions as well as software products and services in the areas of Human Factors Engineering, Cognitive Sciences, Artificial Intelligence, Computer Based Training and Simulations, Big Data Analysis, Network/Data Pattern Matching, Social Networking and Analytics, Training Support Systems, and Decision Support Systems. With offices in Boston, MA, Washington, DC, Dayton, OH, and Orlando, FL, Aptima’s solutions span the human continuum from the micro to the macro – from the neural and individual level, to teams and large groups, to complete societies. AVT will feature the Apache Gunnery Trainer. 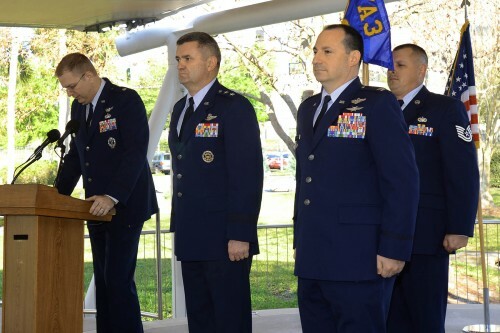 Keeping our military personnel trained on the latest equipment and concurrency upgrades is an ongoing challenge. AVT Simulation’s lean and agile development processes allow us to provide training aids and devices to meet demanding schedules and requirements. Instructor stations, after action review, battle master controls and distributed training capabilities can be added to create an optimal learning environment. 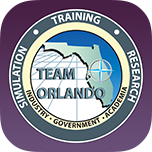 Founded in 1998, AVT Simulation is an Orlando-based, end-to-end systems integration and full-service modeling and simulation small business. Since its inception, AVT’s highly specialized staff of engineers has included some of the top leaders in the simulation industry. With an average of over 20 years of simulation experience, our dedicated staff provides specialized solutions for customers requiring on point solutions to complex problems. Cape Henry will be demonstrating: (1) SBIR Phase III Lighthouse technology – MPT data analytics and visualizations and (2) Windows holographics with Hololens in a mixed reality environment. 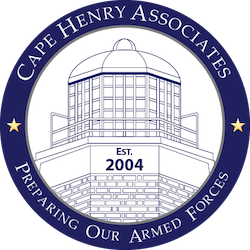 Cape Henry Associates (CHA) was founded in 2004. We are a Service-Disabled Veteran-Owned Small Business (SDVOSB) specializing in providing Manpower Analysis, Personnel Analysis and Training (MPT) services. Cape Henry Associates is a SeaPort-e prime contract vehicle holder and owns a Small Business Innovation Research (SBIR) technology, Lighthouse, for sole source contracting for MPT products and services. We employ a staff of more than 150 people, 75% of whom are veterans. With an overall on-time delivery of 99.5% for required deliverables, we take pride in the reputation we have built as the go-to company for all things MPT. Design Interactive will be demonstrating augmented reality applications for medical training and maintenance. Since 1998, DI has been helping clients gain insight into the user experience and accelerate learning by transforming data into actionable information. DI’s mission is to create a competitive edge for our clients by creating metrics driven adaptive, intuitive, and engaging solutions that leverage the latest technological innovations. We help you hire the right people, improve the productivity of your workforce through training innovation and enhance the user experience. FlightSafety International will be demonstrating the VITAL 100 Image Generator for flight simulators and visual Database General System (DBGS). FlightSafety International delivers safety-focused training for business and corporate aviation professionals, including pilots of fixed and rotary-wing aircraft, maintenance technicians, flight attendants and dispatchers. When you choose to train with us, you receive much more than just basic instruction. You leverage the unmatched resources of the world’s leading aviation training company. More courses, more instructors, more top-level fully qualified simulators, more training locations. We’re the authorized trainer for the majority of aircraft manufacturers. Our training meets or exceeds regulatory requirements – online, on location and at convenient Learning Centers near your aircraft manufacturer or a major service center. We tailor training to meet your specific needs and we train to proficiency. CYBER SECURITY AND COMPLIANCE SOLUTIONS — FoxGuard provides several cyber security solutions, including Patch & Update Management Services, including asset analysis and monthly patch reporting, Security Services, Hardware/Software Solutions and Field Services. INDUSTRIAL COMPUTING SOLUTIONS — Turnkey computing solutions for mission-critical applications designed to fit a customer’s intended use, expected life-cycle and desired price point. In addition to providing hardware platforms, we provide a host of value-added services that truly make our computer products “plug and play” ready. INOVEX Simulation and Training will be demonstrating E-blanks. E-blanks electronically simulate the firing of blank ammunition with recoil, sound, and muzzle flash. Highly experienced, qualified and motivated teams of professionals delivering cutting-edge, technology-based simulation solutions and an entrepreneurial approach to business, leading to maximum benefits for our Clients’ investments into their simulation and training assets. MES will be demonstrating KORE IG, a high fidelity open standard image generator. MES, Inc., is an ISO 9001:2008 certified, international, award winning small business, a management and technical services firm located in Rockville, Maryland. MES, Inc. provides the highest quality, state of the art solutions in education/management services, information technology, and simulation and training and administrative support services to our public and private sector clients. We combine multi-disciplinary skills and technical expertise while emphasizing integrity and quality. These disciplines, coupled with unwavering performance standards, have resulted in repeat business and multiple awards and kudos from our clients. MES was founded in 1992, and has built a reputation for customer satisfaction. We help our customers succeed. As one of the fastest growing high-technology firms, ranked among the “Fast 50” for four consecutive years, MES has earned a niche in education, simulation, training and information technology by being innovative and successfully performing on federal and commercial contracts. MES is the recipient of the “Blue Chip Enterprise Award ©” from the U.S. Chamber of Commerce. Real-Time Innovations (RTI) will be demonstrating DDS, a high-performant networking middleware standard, currently used in standalone and HW-in-the-loop training systems. DDS will be the FACE conformant TSS. Learn more about SimStaff’s ability to rapidly find top talent in the simulation industry. We offer a wealth of innovative technical staffing strategies that give our clients and candidates an edge in a rapidly changing simulation environment. We provide highly skilled technical professionals to some of the latest engineering and technical areas, including 3d modeling, programming services, software testing, data analysis, engineering, and project management. Meeting the demands of technical employers to identify and hire qualified technical professionals in the Modeling, Simulation and Training industry, SimSTAFF Technical Services, has positioned itself as a premier national provider of technology based recruiting. Founded by two simulation and training industry veterans, along with a seasoned technical recruiting services professional, the company has built a sterling reputation by providing highly skilled technical professionals to many of the top engineering, modeling, simulation and training companies throughout the country. 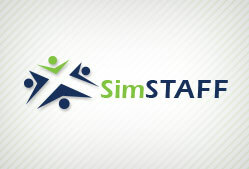 SimSTAFF has leveraged over 40 years of combined experience in recruiting and workforce services within the engineering and technical fields, to save their clients time, money and the frustration of identifying and recruiting qualified technology candidates with the complex skills required by the industry. 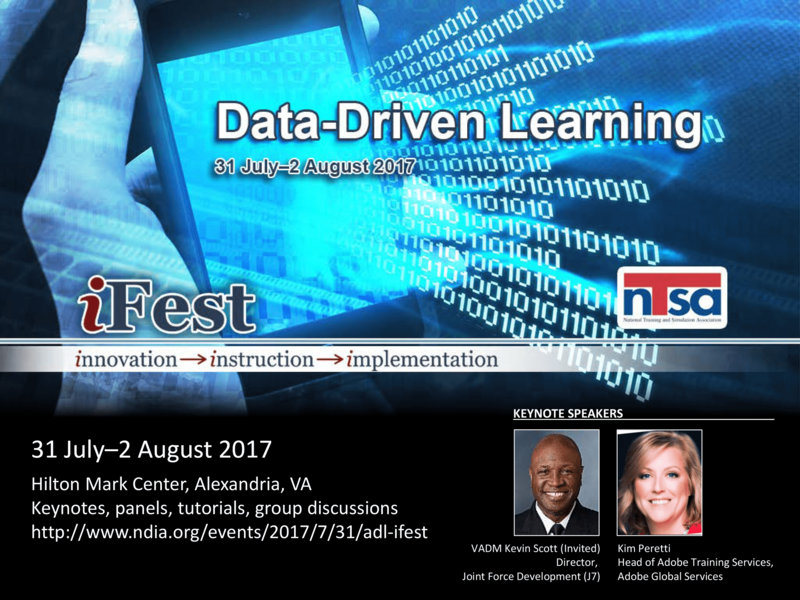 SAIC will be demonstrating DesC2, a competency tool used to reduce time for analysis and design and ensure instructional integrity. Science Applications International Corporation (SAIC) is a premier technology integrator in the technical, engineering, intelligence, and enterprise information technology markets. SAIC has approximately 15,000 employees worldwide. SAIC has a strong commitment to supporting programs of national importance—helping to solve or undertake our country’s most significant problems. We offer a broad range of services and solutions to address our customers’ most complex and critical technology-related needs.